Mild with No Wind. Clear with Occasional Cloud. 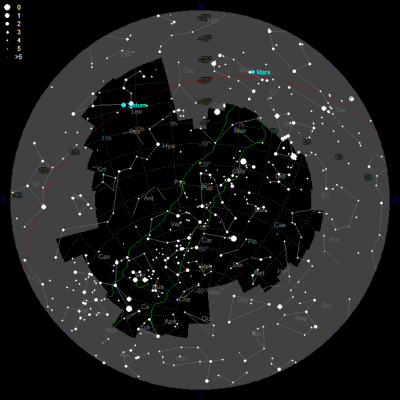 Another observing report in March 2008. My first observing session at Matarangi Beach. We are away on a long weekend at Matarangi Beach, so I have packed the telescope, hoping to do some observing. This is the first time since last February (2007) I have taken the telescope away with me on holiday. However, my trailer is no longer road worthy so we did have to bring two cars. We will address the trailer/transport issues before the next Christmas holidays. I have loaded plenty of objects in the Argo Navis, but primarly I am going to look at some southern Hartungs objects. Lo 5 Planetary Nebula 114x Suprisingly large and faint PN. Detectable without filter, but object is greatly enhanced by using either the UHC or OIII filters. Not easy. Any less aperture or contrast would render this object invisible. Rup 106 Globular Cluster 114x Compact faint GC. Maginally resolved, this object is very faint and compact. Excellent contrast assists in making this object detectable. NGC 3503 Bright Nebula 114x Very faint nebulosity surrounding a 11th mag star. Not strong or easy but visible. No real details seen. IC 2948 Open Cluster 114x Bright but sparse open cluster. Has about 15 members brighter than 9th Mag and probably another 15 brighter than 11th Mag. This cluster has nebulosity involved, which has been logged separately. Nebulosity invisible without narrowband filters. IC 2944 Bright Nebula 114x Running Chicken Nebula. This object sprung to life with the narrowband filters, especially the UHC. Large and conspicious, the nebula fills the FOV and is cresent shaped arcing clockwise. Irregularity noted. Involved with this nebulosity is the bright Open Cluster IC2943. IC 2581 Open Cluster 114x Compact open cluster with about 30 members. Has a very bright 4th mag star at the centre. NGC 3247 Open Cluster 114x Sparse open cluster in a starry field. Looks just like a starry knot in the Milky Way, as it is hard to determine this objects boundries. Almost impossible to number the members, but a stab would be 30 stars. K1-23 Planetary Nebula 114x Medium size southern PN. Round with a hint of irregulaity. Visible without the filter, however as soon as the filters are employed, this object reacts strongly, enhacing the PN to become obvious. IC 2621 Planetary Nebula 114x Stellar PN. Definately confirmed, middle 'star' of 3 of equal brightness. With the UHC this centre 'star' stays the same brightness while the other two drop considerablely. Confirmed using the computer charts. 8P Tuttle Comet 114x Easy comet. Large, round. No tail. Looks like a very bright face-on spiral galaxy with no detail in the arms. Saturn Planet 114x Had a quick look as Saturn. 5 Moons were easy. Did a full horizon survey which should assist for planning. Horizon Map taken from Astroplanner on the right. Had a street light bug me in some far off street, but I will move the scope 1 meter to to the east and it will never bug me again. The light disappeared when I had the scope on the eastern side of the mount and I was facing south, so it was not an issue. There were some remarkable objects in my short observing run. 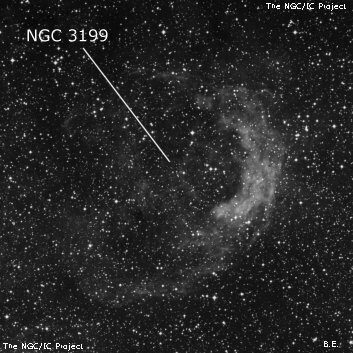 K1-23, Lo5, but the most remarkable was NGC 3199 a real find. Superb to view these Planetary and Emission nebulae under superb skies. Kumeu is conveinent, but to get under truely dark skies is sensational. Nice to see 8P Tuttle again as well. Cloud killed any observing after about 9:30PM and a shower of rain shuffled through as I packed up. A short but very memorable observing session.